I can't believe it is that time of the year again already!!! I'm not sure where the time has gone! 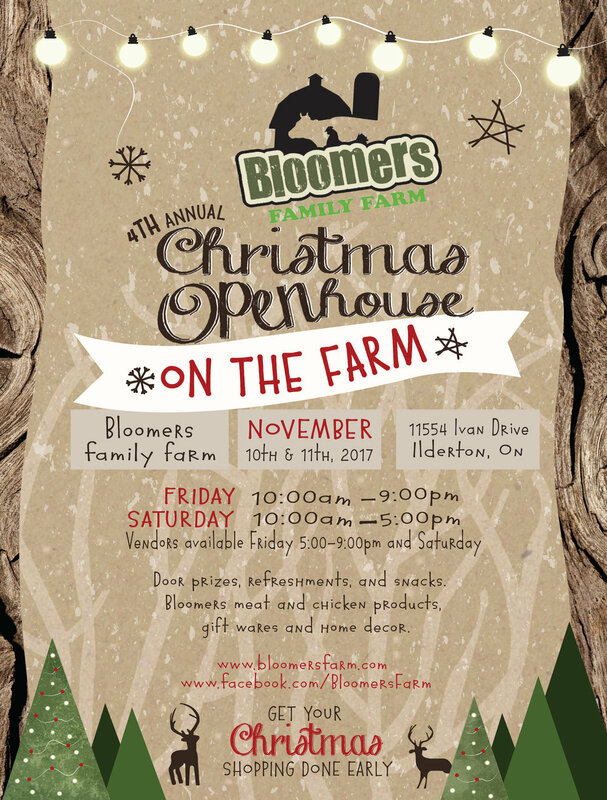 Now that the Ilderton Fair and Thanksgiving are past us, we are in full on Christmas Open House mode! We have our lineup of wonderfully, amazing vendors ready to go, and are making plans to make this the best Open House yet! Join us on Friday, November 10, 2017, the store will be open at 10:00am regular business hours, but will remain open until 9:00pm that day. Our fabulous vendors will join us from 5:00-9:00pm. Or you can join us all on Saturday, November 11, 2017 from 10:00-5:00pm, or better yet join us both days! We will have Christmas décor & giftware, meat specials, draws & giveaways, treats and warm drinks! There will be lot's to see, all while embracing the "Country" Christmas feel. Make sure to add this event to your calendar, and plan to come out and see us! Find a list of our amazing vendors on our Facebook page and listed in our "event"!